BOMB DAMAGE IN VALLETTA, MALTA, 1 MAY 1942. 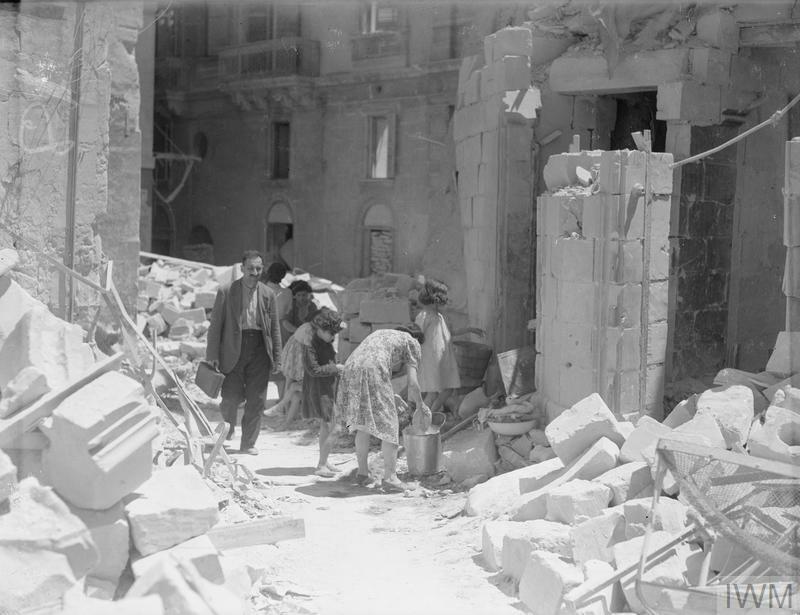 A heavily bomb-damaged street in Valletta, Malta. This street is Kingsway, the principle street in Valletta. 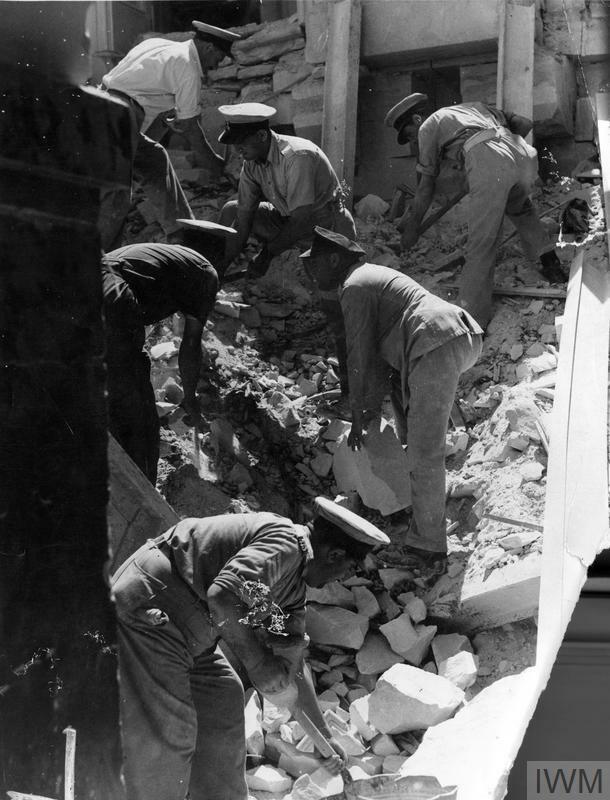 Service personnel and civilians are present clearing up the debris. 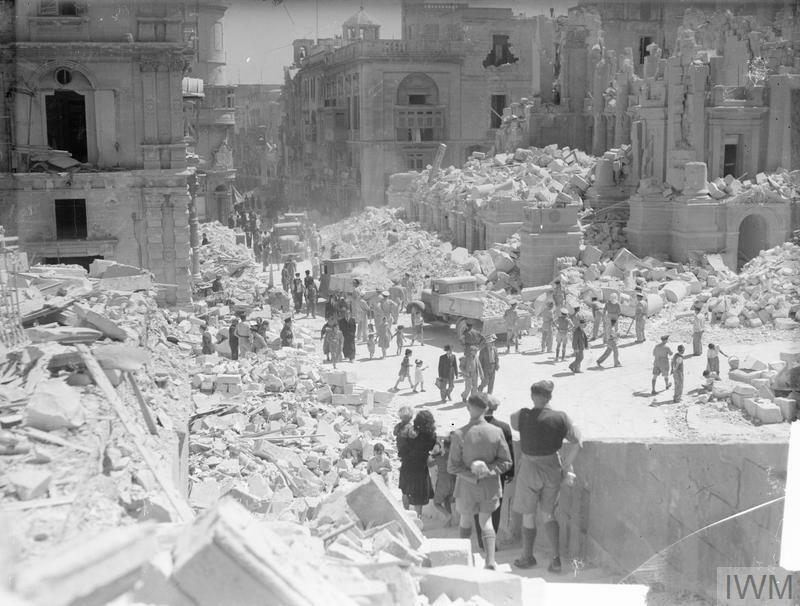 BOMB DAMAGE IN VALLETTA, MALTA. 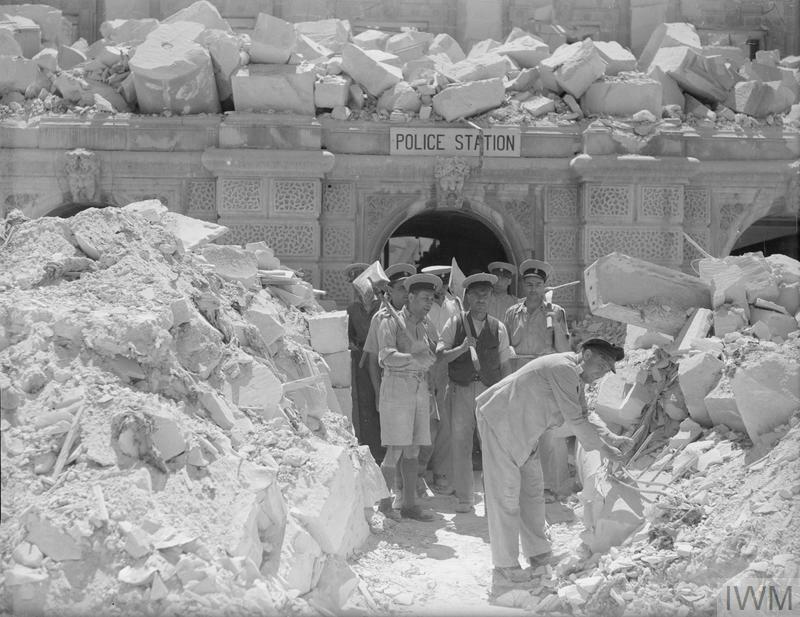 1 MAY 1942.